Hotel de Mendoza is a 4* hotel located in Guadalajara, Mexico. It features 104 rooms and swimming pools. Hotel de Mendoza is housed in a former convent building that has been restored and refurbished to provide quality accommodations in Guadalajara. Enjoy excellent services and the splendor and charm of ancient Europe when you stay in this elegant colonial Mexican-style property. 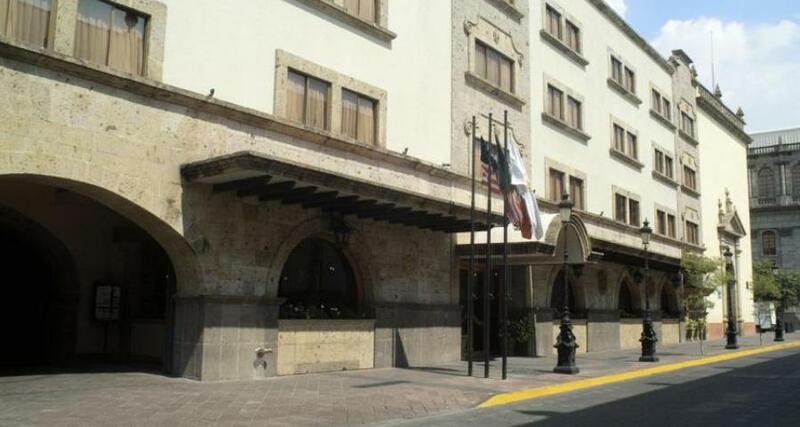 This hotel features beautiful 16th-century architecture and is one of Guadalajara's most important historic landmarks. Hotel de Mendoza is conveniently located within walking distance of numerous city attractions and historical sites including the Metropolitan Cathedral, Regional Museum and Degollado Theater. This hotel is 100% smoke-free.